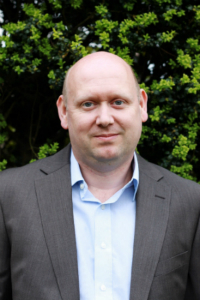 The School of Biosciences and Medicine at the University of Surrey is pleased to announce that Simon Skene has joined them as Director of Surrey Clinical Trials Unit (CTU) and Professor of Medical Statistics. Professor Skene joins the University of Surrey from UCL where he held the position of Head of Statistics at the Comprehensive Clinical Trials Unit. With more than 20 years’ experience in teaching and research, Professor Skene has a wealth of skills investigating medicinal products, advanced therapies, diagnostic accuracy and surgery. Capitalising on his past experiences, Professor Skene will work closely with colleagues within Royal Surrey County Hospital and the School’s CTU and Clinical Research Centre (CRC) to further their position as centres of excellence in clinical research. His expertise in statistics will help inform decision based practice in medicine. Professor Simon Skene said: “I am delighted to be appointed as Director of Surrey CTU at such an exciting time, building on the early successes of the CTU and aiming to further establish the unit as a world leading research institute, as well as contributing to the design and delivery of high quality trials in collaboration with investigators across the region.